Religion is a central part of many people’s lives in America today. Whether Muslim, Hindu, Christian, Buddhist, Jewish, or one of many other religions found in America today, religious beliefs and practices are central in the shaping of people’s lives and their moral and personal beliefs. When the Bill of Rights was first written, it was primarily the responsibility of churches to educate the youth of America. When the first public schools began they included religious instruction in the curriculum, which was primarily promoting Protestant ways of thinking (Passe & Willox, 2009). However, a series of Supreme Court rulings applied the “Establishment Clause” (The First Amendment of the Bill of Rights) to schools prohibiting public schools from promoting one religion over another. The First Amendment to the Constitution reads, “Congress shall make no law respecting an establishment of religion, or prohibiting the free exercise thereof.” While this law does prevent the government from promoting or endorsing one religion over another, it does not prohibit the teaching of religion in public schools (Passe & Willox, 2009). To this day schools continue to address the issue of religion by eliminating it from the curriculum in an attempt to remain neutral (Dever, Whitaker, & Byrnes, 2001). Ignoring the importance of religion not only in many people’s daily lives, but in the context of the social studies curriculum, may give students the false message that religions are irrelevant to human existence and constitutes a misrepresentation of history. Without understanding different religions, how difficult is it to understand historical events such as the Crusades, the Israeli-Palestinian dispute, and the election of John F. Kennedy, America’s first Catholic President (Passe & Willox, 2009)? It is important that public schools begin to make teaching about world religions part of their curriculum. However, the goals of religion in public schools, unlike teaching in private schools, must always be constrained by the need for balance and practiced objectivity (Dever, Whitaker, & Byrnes, 2001). To change this trend in American public schools, there is a need for a curriculum that focuses on cultural anthropology that emphasizes comparative religion. Experts agree that the public would be more accepting of religion being taught in the schools if: (1) it could be taught in such a way as to promote harmony, peace, and economic progress and (2) it can be established fairly without indoctrination (Passe & Willox, 2009). Religious curriculum should promote student understanding of and respect for the religious traditions of others (Dever, Whitaker, & Byrnes, 2001). However, teachers at this time are not ready to teach their students about religion. What is needed is not just a single course, but rather a comprehensive training program to prepare teachers. While most religions would be accepting of such a move, there could be some resistance from fundamentalists within each denomination. In 2009 the only city in America to integrate religion into their curriculum was Modesto, California. Like many urban centers, Modesto had welcomed many different immigrants from around the world into their community. Immigrants included Latin American Catholics, European Jews, Asian Sikhs, Buddhists, Hindus, and Arab and non-Arab Muslims. While immigrants often stuck to their own communities, the one place where these different cultures met in one place was the public school system (Lester & Roberts, 2009). Over the past forty years, overt incidents of religious prejudice have been rare, but the cultural divide has bred mutual suspicion between different communities. In the late 1990’s, tensions and controversy erupted when gay high school students complained about discrimination when they were denied permission to start a support club (Lester & Roberts, 2009). In 1997, Superintendent James Enochs intervened and told a group of parents, teachers, students and religious leaders to craft a policy that would protect students from being harassed because of their race, religion, class, gender, or sexual orientation. With this new policy, that would create a ‘safe school’ for all children, came a human relations seminar for students and a “Day of Respect” that featured outside speakers who talked about various forms of discrimination. The centerpiece of the committee’s policy was the creation of a mandatory world religions and religious liberty course for all ninth graders. After consulting with experts a nine week course was created and implemented. The results were an increase in student tolerance for others from different religious backgrounds (Lester & Roberts, 2009). 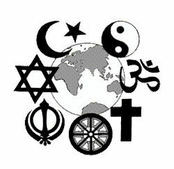 Modesto serves as an example to other religiously diverse communities across the country on how instituting a course about world religions and religious tolerance can ease suspicious tensions and bring communities closer together. Modesto, California. British Journal of Religious Education, 31(3), 187-199. Passe, J., & Willox, L. (2009, May/June). Teaching Religion in America's Public Schools: A Necessary Disruption.